All pictures are thumbnail. Click on them to get a full-size picture. Red buttons are hot links which will take you to the designated location. The first one links to a page which covers the T-28 Zorros at Nakhon Phanom. Det. 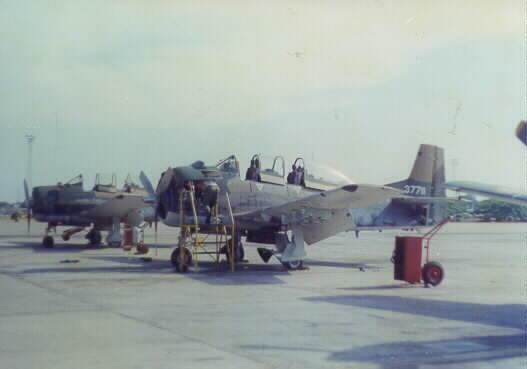 2a of the 4400th CCTS was the first American unit to use T-28s in Viet Nam. James Dezso was kind enough to loan some of his pictures to me. Individual Farm Gate T-28 shot from Jum Dezso. This picture gives a better feel for how the T-28s looked. Bill Verebely granted permission to use this picture from Soc Trang. He provided a large number of pictures and I intend to rotate them over the next few months. T-28s did take hits as this Bill Verebely shot shows. A quick look at my losses page will show that some of the pilots weren't as lucky as this one. The T-28 was used as a trainer and later as a counter insurgency fighter during the Vietnam War. In Thailand the 606th Air Commando Squadron flew under the callsign Zorro. In August 1968 all Air Commando units were redesignated as Special Operations units. Khmer students working on a T-28 assigned to USMACTHAI/TLD. We trained maintenance workers, forward air controllers, and pilots. This button links to a page covering training with the T-28. The Navy T-28B was converted to the T-28D-10. It was essentially the same as a D-5 except each wing weighed 50 pounds more. The above picture shows a disaster waiting to happen. 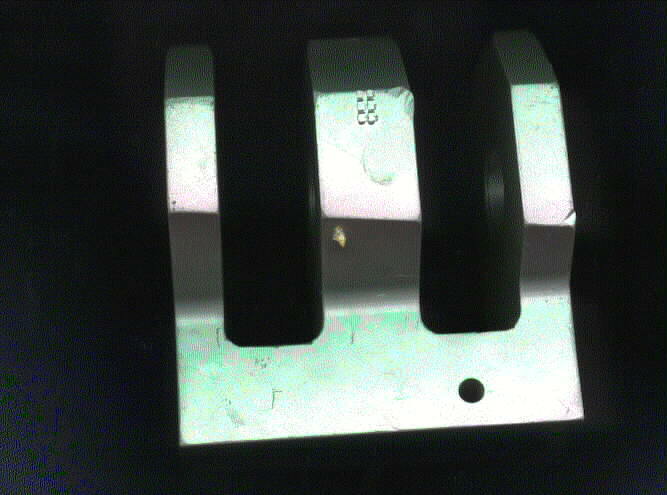 This is the spar cap end from one of our planes at Udorn. It's cracked and had to be cut off and replaced with a stainless glove. This button links to a page listing the different military versions of the T-28. It should be noted that many nations adopted the T-28 as a Counter Insurgency aircraft. Others used various versions as trainers. I've personally flown T-28's owned by Cambodia, the Dominican Republic, and Laos. We were on a Thai base and they had T-28's. Some of the Laotian T-28's were transferred to the Philippines. There is also evidence that the North Vietnamese operated two T-28 supplied by defectors. 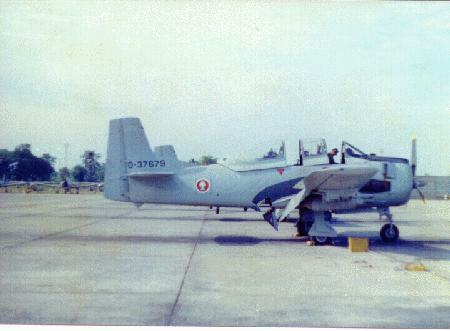 A T-28 on the ramp at Udorn RTAFB. It was assigned to USMACTHAI/TLD and used for training. Please visit my tribute page to the Khmer Air Force. My favorite links (Note: T-28's and A-1's often worked together. Some of us flew both). The next linked page gives a listing of T-28 combat losses. Warning: This is a large file! The next button links to a page of Hurlburt T-28 student photos. John Marley has written a page on the USAF involvement with the RLAF. The next button links to that page. The site where I made my buttons had closed by the time I made the RLAF button. If anyone knows of another site that has a button maker, please let me know. Please remember to bookmark my site. It is updated at least monthly. Modified on September 7, 2006. To return to the top of the page, click on the red button.